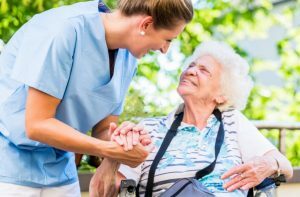 At Active Home Care, we provide a variety of elderly care services for seniors and families living in Bay Harbor Islands and its surrounding areas. Our professional service covers assistance with daily activities, mobility, medication and companionship. We’re committed to giving you peace of mind, and our services are personalized to meet individual needs. Our caregivers are available to stay with your loved one. This is ideal when your loved one needs special care at night or on a 24/7 basis. With this service, we provide support for your seniors who need help with mobility while they enjoy the comfort of their homes. Our caregivers know how to care for seniors who have debilitating conditions like dementia and Parkinson’s. Every night, there will be someone to keep watch and provide any needed assistance. You’ll always have someone with your loved one while you enjoy peace of mind because they’re receiving the help they need. What Do You Gain From Our Senior Care in Bay Harbor Islands? Seniors stay in their homes and get all the assistance they need with daily tasks. You’ll get the type of caregiver that matches your requirements and suits the traits of your elderly loved one. Plus, you’re not restricted to a 9-to-5 schedule. We provide care within a flexible time frame. We love helping the elderly overcome loneliness and its negative emotional effects. Your loved one can enjoy companionship and help with routine tasks. Our caregivers have excellent communication skills, and they’re trained to keep seniors happy throughout the day. Companionship is combined with assistance with mobility, physical exercise, shopping and many other caregiving tasks. We’re ready to offer you the assistance and care your loved one needs right now. Simply contact us to discuss your needs and start receiving our professional assistance now.